TOP. c/o Kelly Elizabeth Designs SKORT. (similar) FLATS. PURSE. HAT. LIPS. SUNGLASSES. A graphic tee is always a simple wardrobe essential for me. 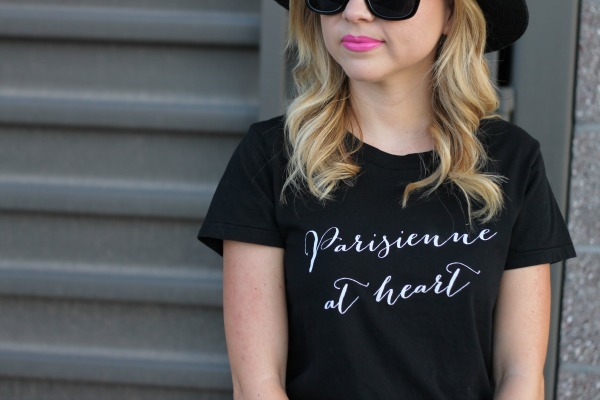 I saw this darling tee on Kelly Elizabeth Designs instagram and fell in love with it. 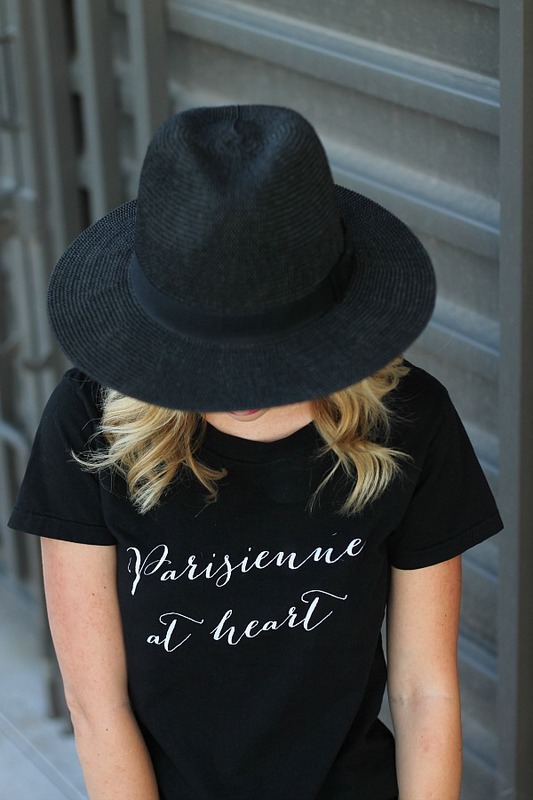 When she sent me this tee I was ecstatic I knew I wanted to add a bit of Parisian style to it. I have had this sort from BCX for a few years now ( I know its time for a new one) but when it works it just works. I added a few new blush items to pair with the perfect summer hat. I have to say blush and black is starting to be one of my favorite color combos. Do you have a favorite color combo ?